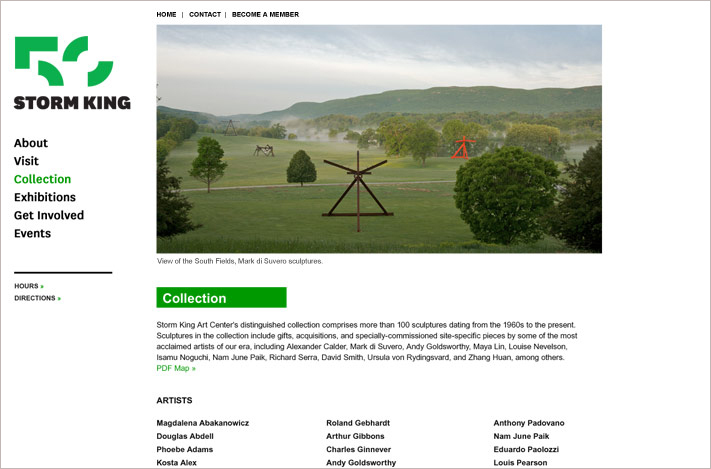 Storm King Art Center, widely celebrated as one of the world’s most eminent sculpture parks in the United States, hired Cabengo to redesign its existing website in advance of the opening of a major exhibition and associated press coverage. In order to meet the target launch date, we moved quickly to identify essential content and functionality and then map a logical site structure. 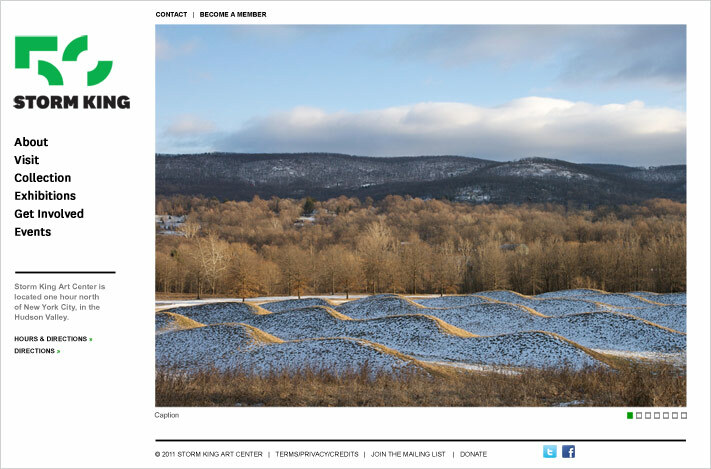 The look and feel needed to be fresh and sophisticated, in keeping with Storm King’s pristine 500-acre landscape. 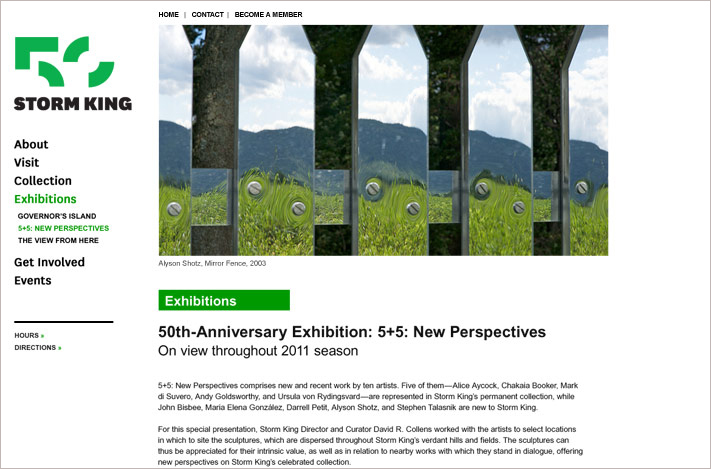 It also need to share a sensibility with the the environmental graphics done a year earlier for the 50th anniversary celebration. 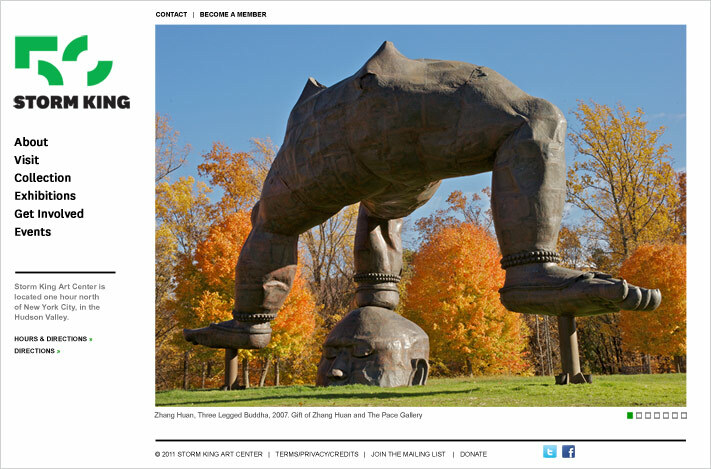 The result is a simple yet elegant website that showcases the work of the collection. 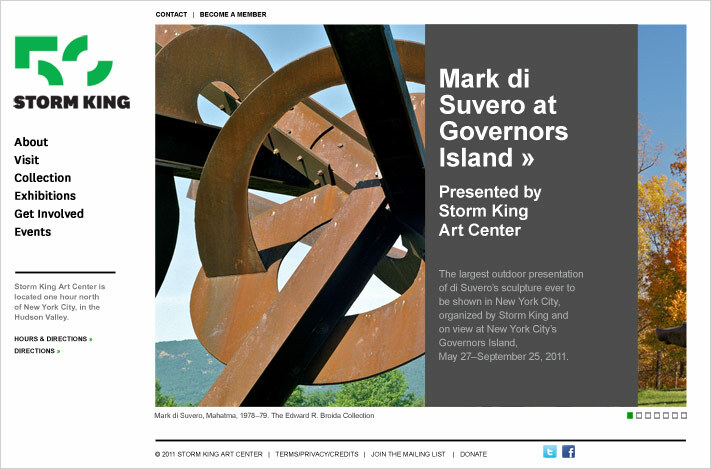 Minimal design, direct navigation, and generous, stunning photos work together to convey Storm’s King intense and transcendent beauty.